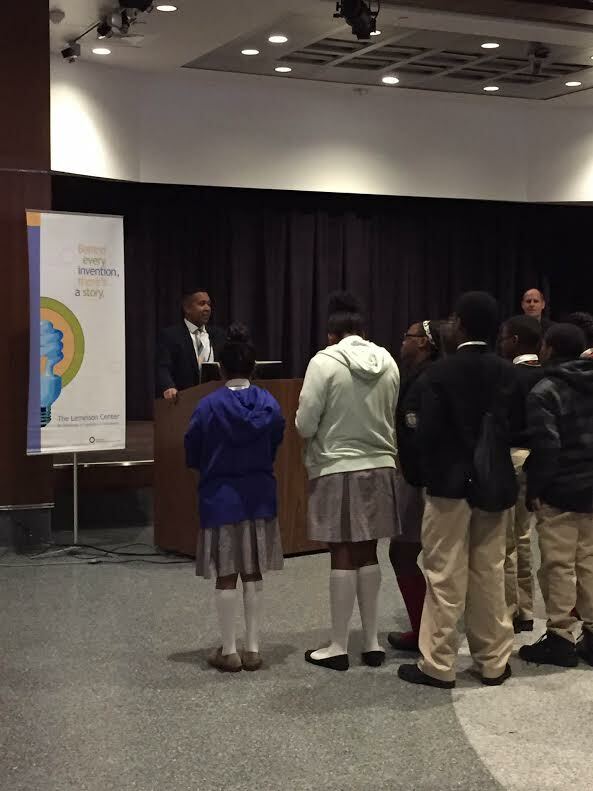 On February 11, 2016 the Lemelson Center hosted school groups for the American Association for the Advancement of Science (AAAS) Public Science Day. The students came to the National Museum of American History (NMAH) to explore invention and innovation in Spark!Lab, Places of Invention and throughout the Innovation Wing. Upon arriving, they were also greeted by special guest Dr. Juan Gilbert, an inventor, computer science professor, and AAAS-Lemelson Ambassador. Dr. Gilbert inspired the students with his personal story of becoming an inventor, working collaboratively with teammates and colleagues, pushing past barriers of frustration to solve problems that make the world a better place. When he explained his invention, it really did illustrate perfectly how an individual can have a huge impact. To hear it in his own words, listen to his talk at the AAAS-Lemelson Invention Ambassadors 2015 "Celebrate Invention" event. Dr. Gilbert and his team have worked on Prime III, an accessible voting machine that will be piloted in this year’s presidential elections. In fact, the recent New Hampshire primary was the first time an entire state used these machines in an election. His vision is for everyone to use Prime III to vote, so people with disabilities do not have to feel singled out to use different machines. Photo courtesy of Dr. Gilbert. Using inclusive, universal design, Prime III is a “secure, multimodal electronic voting system” that accommodates all people regardless of ability. 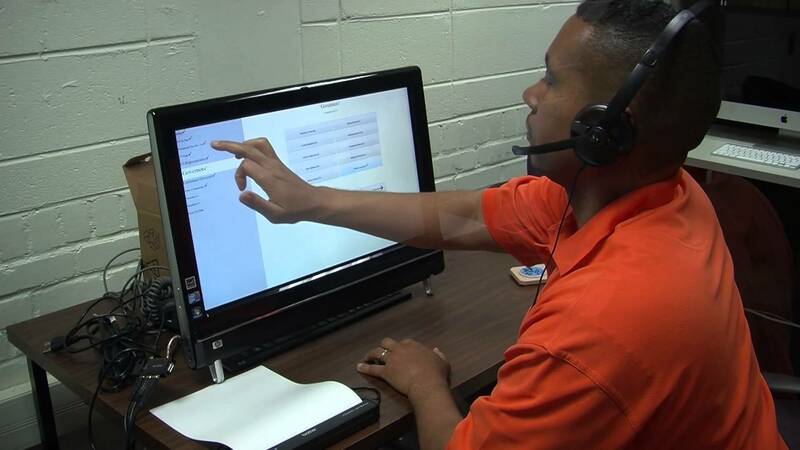 Users can tap a touchscreen of a user-friendly interface, speak or blow into a microphone, or use switches to make their selections. A set of headphones and verbal instructions are also an option. Dr. Gilbert told me one of the hardest parts of the invention process was ensuring the software kept the votes anonymous and accurate regardless of the way the machine was being used. This YouTube video gives a demonstration of the capabilities from the inventor himself! According to Dr. Gilbert, his team is working on usability studies throughout the primaries as part of the certification through the U.S. Election Assistance Commission. For a historical look at how far voting machines, systems, and technologies have come in American politics, I would also encourage you to visit NMAH’s new exhibition Hooray for Politics!, which includes 19th and 20th century examples of voting boxes juxtaposed with campaign signs from the 2016 presidential election. I look forward to a day when Dr. Gilbert’s contribution to the American electorate is celebrated just as these historic objects. Because the Constitution gives states the job of running elections, voting in the United States has developed into a hodgepodge of manual, mechanical, and electronic balloting. Almost every method of vote counting, from the paper-slip ballots used in rural New Hampshire to the gear-and-lever machines of New York to the Votomatic punch-card booklet pioneered in California, is used in some corner of the country today. NMAH political history associate curator Debra Hashim shares how newly televised debates spurred conversation amongst her family.